Mrs. Pegg’s tips for portable clothesline drying. 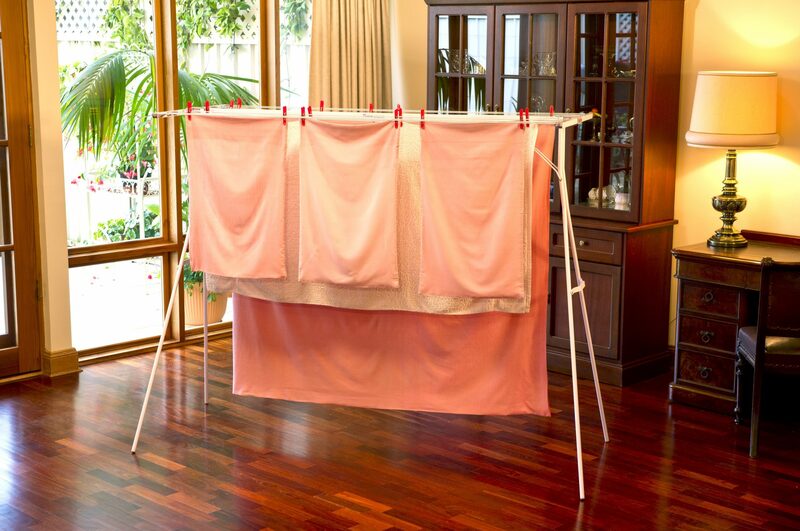 Get more out your portable clothes line with these great drying tips. Now that autumn is here it’s time to think ahead about your clothes line shivering outside in the rain. Sometimes you don’t have much choice when it comes to drying clothes any way you can. So what you really need is a portable clothes line for drying any time of year. That’s why tens of thousands of Australians use a Mrs. Pegg’s Handy Line as their portable clothes line of choice. Mrs. Pegg’s is becoming Australia’s favourite clothes line. Wouldn’t it be a miracle if you had endless sunny days to hang your clothes to dry – and a garden or balcony in which to dry them? While you can still dream, the reality for many of us is an endless cycle of wet laundry and no place to dry it unless of course you lucky enough to own a Mrs. Pegg’s Handy Line. So what if you have no choice except to dry your laundry indoors? Here are some handy tips to get you in the mood for those winter drying days inside with a clothes drying rack. Where to place your Drying rack. One of the best places to dry laundry is on a Mrs. Pegg’s Handyline, but if you really have to dry it indoors avoid the bedrooms, where you’ll be most exposed to mould spores. Open windows as often as possible to allow fresh air to circulate through your home. Extractor fans in the kitchen and bathrooms will also help to tackle moisture – make sure you keep them clean and free of dust, so they’re more efficient. If you’re in the habit of doing a load of laundry when you get in from work, switch to a slightly earlier morning start and hang things to dry during the day, so you can take advantage of the sun’s warmth. Place your Portable Clothes line carefully. Make sure you put your Portable Clothes line in the sunniest and airiest spot in your house (provided it’s not the bedroom or main living area, for the reasons mentioned above). To maximise the benefits of your clothes drying rack, hang your nice shirts and blouses on coat hangers off the rack to ensure they dry as crease-free as possible, and to get more items drying in the heat. Then you’ll be able to pop them straight in the wardrobe.